A TEAMMATE, A LEADER AND A CHAMPION. to quit playing sports by age 14. Girls Play Sports is here to change that! 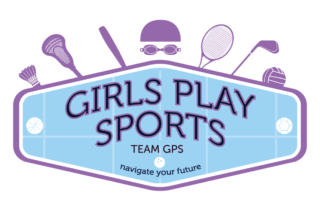 GPS is a non profit organization dedicated to fostering leadership skills and confidence in girls through participation in a wide variety of sports. The program engages girls, grades 3-8, in multiple sports without a long-term or expensive commitment. GPS engages girls in meaningful conversations about current topics that affect young women today. GPS was founded in Evanston, IL. We have recently expanded the TEAM GPS program to include Niles, IL as well! Click on the buttons below to learn more about each of our programs and to register an athlete. We offer a variety of programs for girls in 4th through 8th grade. Click on the button below to learn about all of our programs and register an athlete. Click on the button below to learn about all of the ways you can support the GPS mission. We currently have several volunteer opportunities available. Sport is about bouncing back and learning from mistakes. The earlier girls can learn these skills, the better! Beyond the fundamentals, playing sports helps to instill respect for authority and rules. Just 30 minutes a day can impact their overall health. Through sports, girls learn the importance of time management and discipline. We all know it makes the DREAM work! Leadership isn’t always about who is the best. Quiet leadership is about being accountable for your actions. Getting girls on their feet helps them to think on their feet! Sports help athletes listen to their instincts and make game time decisions. Girls may not get high-fives, pats on the back and thumbs up anywhere else. Sports gives every athlete a boost of confidence! Sports teach girls that learning a skill takes repeated practice.